Since 2001, Duncan Real Estate is providing expert services for Anna Maria Island real estate needs. Located on the historic Pine Avenue on the North end of the island we offer your complete realty source with outstanding customer service. 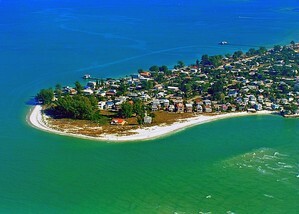 Although only 7 miles long Anna Maria Island features three quaint towns that have their own distinctive personalities. Anna Maria, Holmes Beach and Bradenton Beach each offer a wide variety of properties. Team Duncan’s local know how and market expertise will guide you to your slice of paradise. Enjoy the sunset side of Florida with us! Whether buying and selling island real estate or throughout Manatee County, needing property management services or looking for a vacation rental department with international reach our dedicated team of experienced professionals will satisfy your needs. For owners, we provide free commercial brokerage analysis and specialist identification. For buyers, our commercial property specialists will work with you to identify your specific needs and locate the right property. Our team is a mix of life long island residents and people from everywhere statewide and even international that made this island and surrounding areas their permanent home. We are community oriented and participate in the Anna Maria Island Turtle Watch, Anna Maria Island Community Center, PACE for Girls, Woman’s Resource Center and Realtor to the Rescue Animal program. Duncan Real Estate is a regular sponsor of community programs and events. Duncan Real Estate’s proven performance has resulted in numerous accomplishments and awards. Darcie Duncan was featured on HGTV’s hit show “House Hunters” helping a couple find their perfect island getaway. She was also awarded with the prestigious decoration as “Business Person of the Year” in 2011 by the Anna Maria Island Rotary Club. Darcie is the current Chairman of the Board of the Manatee Chamber. 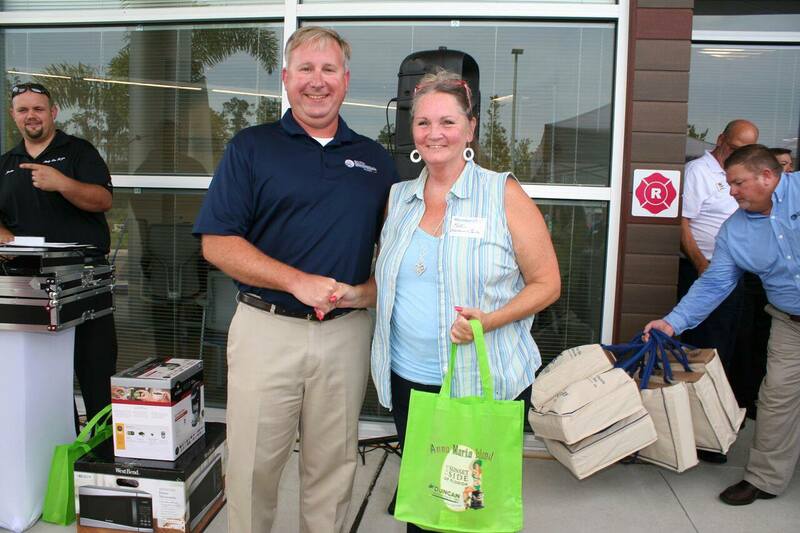 In 2013 Duncan Real Estate came in as a finalist in the Manatee Chamber of Commerce Business of the Year race and won the award in 2014. A popular contest by the island newspaper “The Sun” determines their readers’ favorite island businesses. Duncan Real Estate won the Readers Choice Award two times in a row for 2017 and 2018. The Duncan Real Estate team is looking forward to meeting you. We do business the way it was meant to be – friendly, trustworthy and with your best interests in mind. Please contact us at 941 779 0304 or send us a a quick message here. Stay in the know! 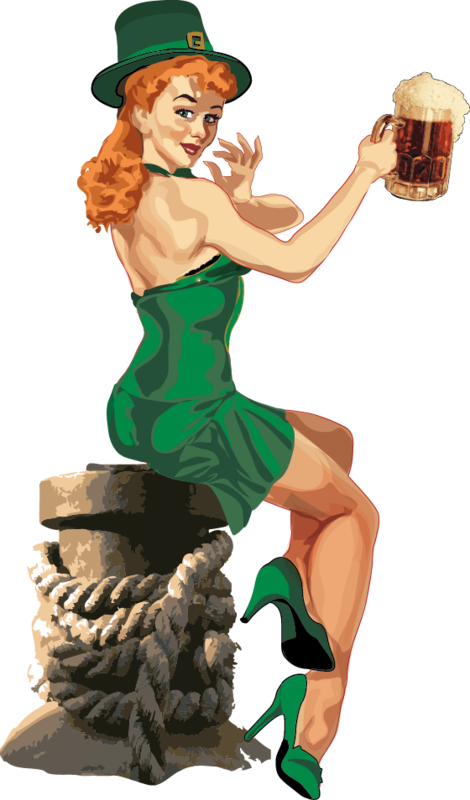 Duncan Real Estate Newsletter! Look what I just finished and sent out today – The Duncan Real Estate October 2017 newsletter! It features a new restaurant we have on Anna Maria Island called Smoquehouse BBQ, our Reader’s Choice Award, Duncan Deals, and an upcoming event on Pine Ave. Click here to view the newsletter and see what is happening with Duncan Real Estate and on Anna Maria Island. Just so you don’t miss out on the Duncan Deal, here is what it is! If you rent for 7 or more nights in November or December of 2017, you get one night FREE! (excludes holiday weeks) . Get out of the cold and come enjoy all that Anna Maria Island has to offer during the holidays! PLUS, the weather is perfect this time of year. If you are here during the week of December 8th, come to the Holiday walk on Pine Ave! SUCH a fun event and it is free! The locals look forward to this walk and it really gets you in the holiday spirit. Duncan Real Estate serves grilled oysters, cookies and processco! That should be enough reason for you to come out for the Holiday Walk on Pine! Enjoy reading our short October newsletter and give our office a call to book a vacation rental or to help you with the sale or purchase of your new home! October News from Team Duncan! Anna Maria Island is so beautiful today. Perfect weather, sun is shining, and the weekend is almost here. I wanted to make sure that I shared with you our October Newsletter so that you know what is going on at Duncan Real Estate! Click here to view the newsletter. If you see a vacation rental or have interest in one of our featured listings, please give the team a call. Anna Maria Island is the place to be. We Survived on Anna Maria Island! Sorry it has taken me a few days to be in touch. Myself and the vacation rental team have been busy cleaning up after Tropical Storm Colin. Thankfully, our office on Pine Ave and over 90 vacation rentals weathered the storm with very few issues. I was very nervous driving on some of the roads out here as they get flooded quickly, but the MINI Cooper did just fine. Anna Maria Island has survived many of name storms and Colin is just another example of how “strong” this island is. The maintenance staff has walked all of our vacation rental properties and cleaned up all of the yards over the last week……wow, they are pooped! Needless to say, we take care of our properties! Here is to no more storms this season…all of my toes and fingers are crossed! Hope to see you over the 4th of July! Duncan Real Estate Doesn’t Just Sell Homes on Anna Maria Island! As I am going over my spreadsheet of DRE listings this morning, it came to me that we have many listings all over Manatee County! Our office is located on Anna Maria Island, but our 11 experienced real estate agents are happy to help you list your home anywhere in the Manatee/Sarasota area. Team Duncan specializes in all phases of buying, selling, and renting on Anna Maria Island and the surrounding areas in Manatee County. We maintain an exclusive selection of homes and condos for sale, plus a diverse selection of rental properties “in town” or just off the beach! We are a boutique agency that does business the way it is meant to be – friendly, hands-on, and with your best interests in mind! A member of Team Duncan would love to help you sell or purchase your next home ANYWHERE in Manatee County! 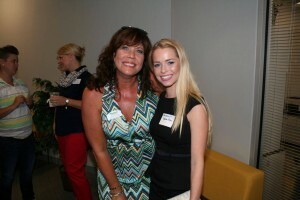 My intern and I had the pleasure of attending a Manatee Chamber of Commerce Networking Event on Tuesday, July 14th! What a great event! 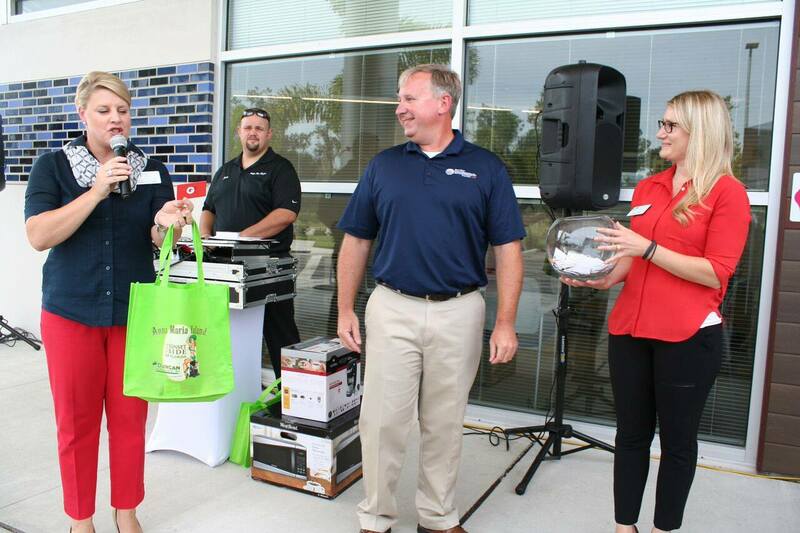 We had such a wonderful time meeting new people, marketing Duncan Real Estate, and gathering new business leads. Why wouldn’t you be a member of your local chamber and take advantage of the many benefits it offers to members. Before the event, my intern and I made a few “give away” prizes to be given out at the event. During a networking event, everyone puts his/her business card when they arrive, and towards the end of the event, the Chamber does a drawing for different prizes. This is such a simple and easy way to market your business. The Chamber always thanks each business for the donations and then the winner gets your prize and business information right then and there! As the saying goes “you get what you give”! The grand prize was a 39″ TV and I was the lucky winner of this fabulous TV! How fun is that! 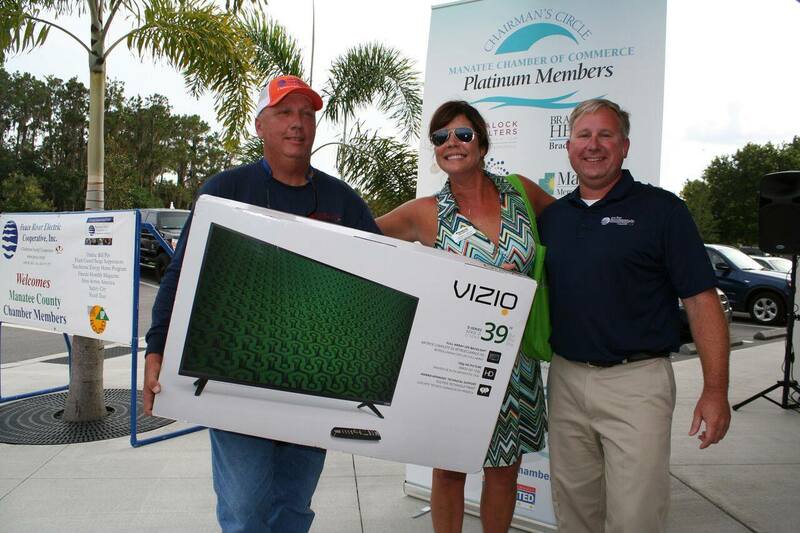 Thank you to Peace River Electric for hosting such a lovely chamber event and especially for the TV that I won! 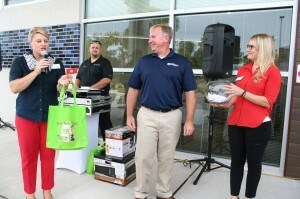 I will for sure continue to attend the chamber events and bring Duncan Real Estate door prizes! Here is to supporting local businesses and doing business with one another! 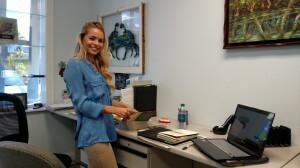 New Summer Intern at Duncan Real Estate! 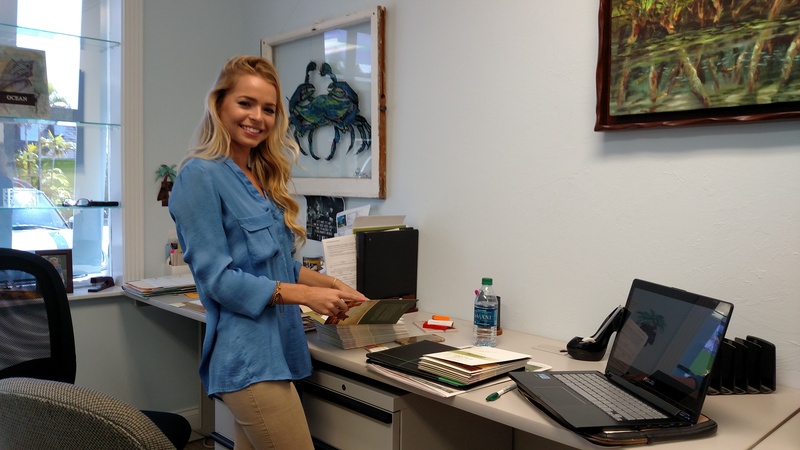 Team Duncan is very excited to have Vanessa interning with us this summer. She is in her final semester of college and comes with so much knowledge in marketing and social media. She is here to learn about marketing in the real estate industry, but I have a feeling we are going to learn so much from her too! She is only on day 4 and has already done so much. Duncan Real Estate has a presence on Facebook and Twitter and now, we have a presence on Instagram! If you have not liked, followed, or retweeted a post, please do so! Thank you Vanessa for all of your wonderful help. It is going to be a fabulous summer! Summer Specials on Duncan Real Estate Vacation Rentals! Summer is right around the corner and Team Duncan wanted to get the word out that we have sizzling summer specials on our vacation rentals. Some vacation rental properties are 10-15% of the weekly rental rate and some that are $150 off the price! Can’t get much better than that! We tend to rent from Saturday to Saturday, but in the summer some rental properties are available during the mid-week and for 3 nights! As you are planning your summer vacation with your family, friends from college, or a romantic get away with your honey, think Duncan Real Estate! We will take care of all of your vacation needs and even offer an errand service that will fill your fridge before you get here! There are a few ways to “check out” available rentals….. the website, www.teamduncan.com, VRBO, call our office at 941-779-0304 and talk to a rental agent, and/or stop by our boutique office on Pine Ave. to get personal service! We look forward to meeting you and calling you friend! Yes it’s true, our beautiful 7 miles off the coast of Florida was placed just one shy of Bora Bora! How lucky we are to live in paradise! When traveling to Anna Maria Island for a romantic island getaway you may ask yourself a few questions. What is there to do? Where do we eat? Where do we stay? How much should I budget for? Obviously you can contact Duncan Real Estate for information on any of our Anna Maria Island Vacation Rentals. We have houses large and small, with and without pools, everything from a cozy beach cottage to a vacation rental that will knock her socks off! You can also surprise her with flowers by contacting our local area florists. You may ask where should I take her to eat? The options are endless as to what you can do with your loved one on our magical island. Plan a trip and see for yourself. I promise, you won’t be disappointed.